One Keyboard, So Many Devices: The Logitech K480 Lets You Switch Between Them | OhGizmo! If you’re anything like us, you have a multi-device setup at home. You watch stuff on the TV that’s connected to a Mac Mini, say. Then you work on your desktop with your smartphone sitting atop of it, and maybe there’s a tablet nearby as well. It’s the way things are done these days, but do you really need multiple keyboards for all these, when just one would do? The Logitech K480 can connect via Bluetooth to three devices simultaneously, and then seamlessly switch between them at the push of a button. A usage scenario could involve you typing on your desktop, then switching to your smartphone to reply to a text, and then searching for another song to listen to from the streaming music service on your Mac. 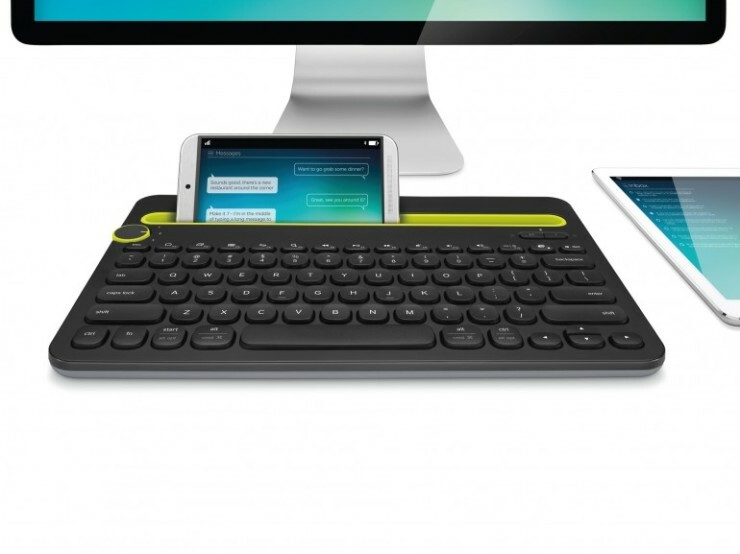 There’s even a cradle integrated into the keyboard for you to nestle a mobile device. It’ll be $50, available this September across the states.